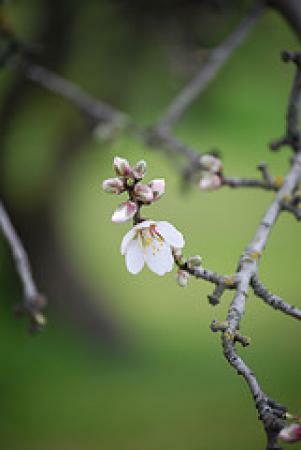 The San Joaquin Valley is synonymous with California's finest stone fruit growers, and the small, historic town of Ripon celebrates that with its annual Almond Blossom Festival. The festival, which takes place during the last weekend of February, is a four-day family affair and is a classic country fair type event. The annual spaghetti feed and the pancake breakfasts benefit the local community's charity clubs and associations; the Saturday morning parade through old town Ripon features the one and only Almond Blossom Queen as its guest of honor; a fun run or an 8K run is hosted on Saturday to work off all the delicious food and nut treats consumed; arts and craft booths, carnival rides and kid's events round out the weekend. The carnival is held in a dirt field, so strollers can get around but you may want to bring your jogging stroller! Also dogs are allowed, on a leash. Maybe I missed something? In all fairness to the festival, we did arrive just as they opened but it seems that the opening times were different from booth to booth because although they charged us to park and there stalls were open, very little was out and ready to be purchased or viewed. Also, I felt like an inordinate amount of booths were "services" like churches and gyms. Not really something a 5 and 8 year enjoy. The kids playground area was "open" but again that was subjective. We did a few things, caught a fish and left to view the parade. I think you need to live in Ripon to appreciate the parade.